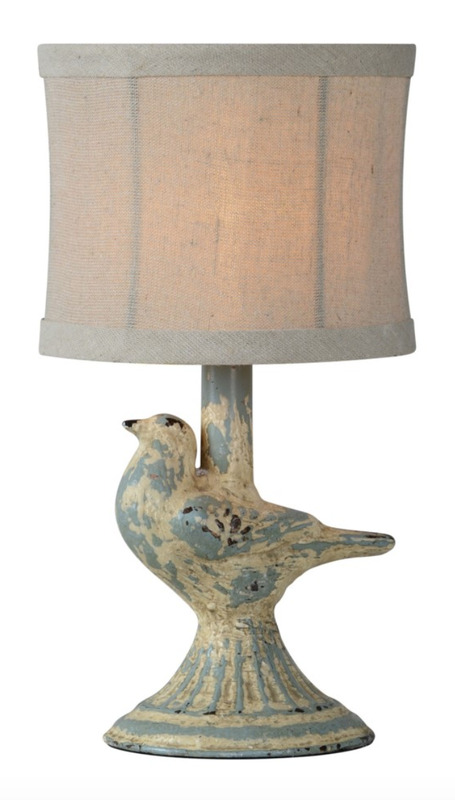 This darling bird is the perfect accent to any small space. 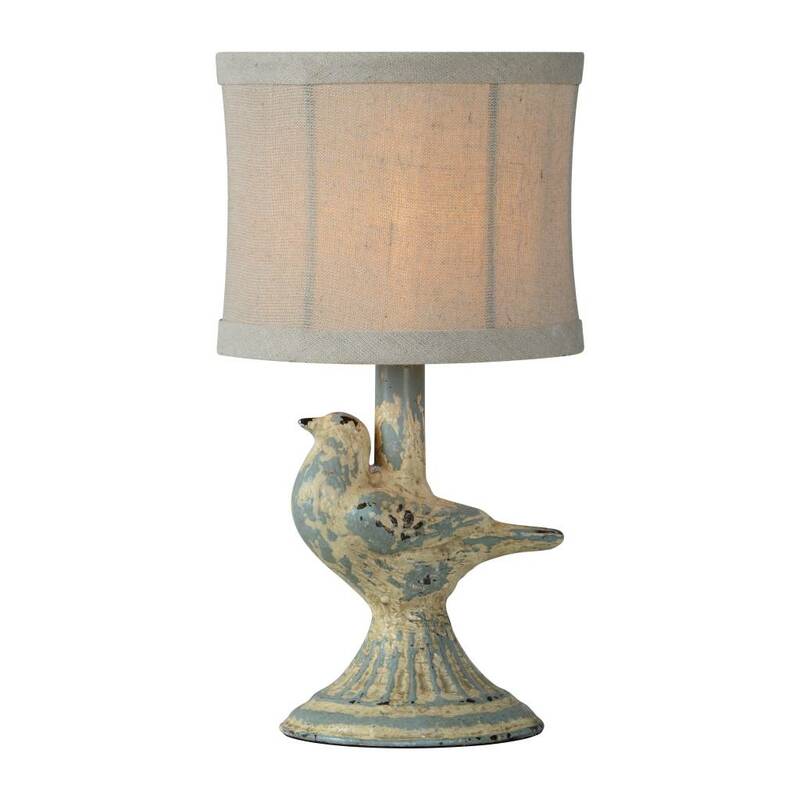 The Ren lamp is nicely finished in a weathered blue and antique white finish with a linen shade. Glass/Shade: 6" x 6" x 5"